Item # 308948 Stash Points: 3,495 (?) This is the number of points you get in The Zumiez Stash for purchasing this item. Stash points are redeemable for exclusive rewards only available to Zumiez Stash members. To redeem your points check out the rewards catalog on thestash.zumiez.com. 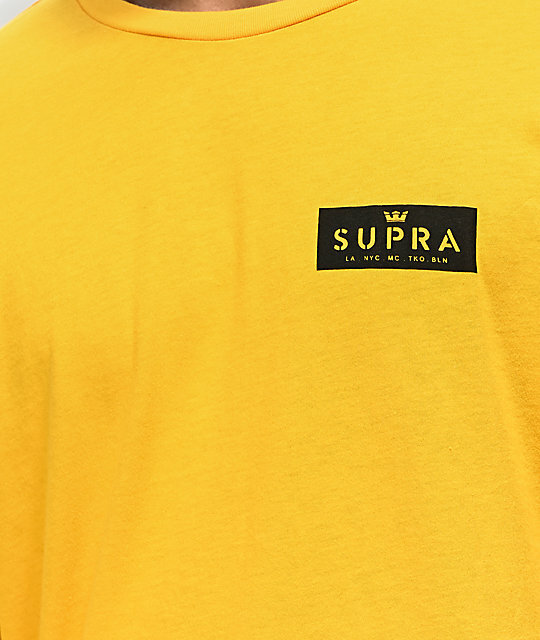 Rock the Nexus Gold Long Sleeve T-Shirt from Supra with your Skytops, for a signature streetwear style. 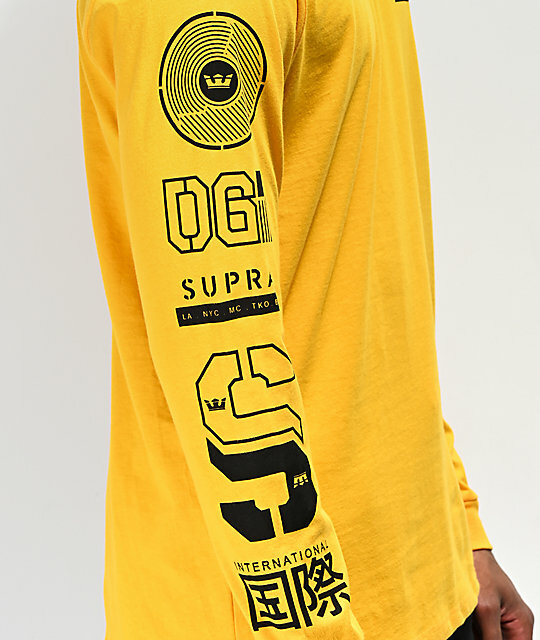 This golden yellow long sleeve tee features screen-printed logo graphics in black at the left chest and right sleeve. A relaxed fit and soft cotton construction makes this shirt perfect for skating and chilling alike. 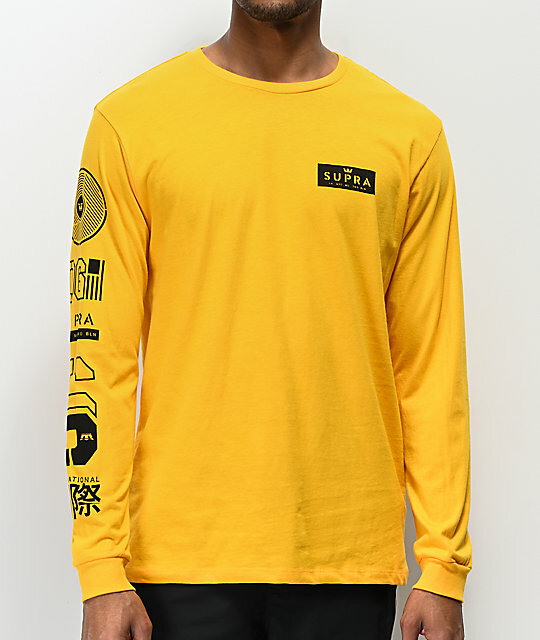 Nexus Gold Long Sleeve T-Shirt from Supra. Screen-printed graphics on the left chest, right sleeve & back.